Last Monday (24th September 2018), ORI welcomed Dr Angie Fearon, Assistant Professor in Physiotherapy, from the University of Canberra in Australia. 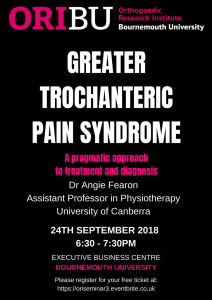 Angie qualified from Lincoln Institute of Health Sciences with a Batchelor of Applied Science in 1996, and has since completed her Master’s Degree in Physiotherapy at the University of South Australia and a PhD in Medical Science through the Australian National University. Angie spent the day at ORI discussing potential collaborations with Associate Professor Tom Wainwright and looking at our state- of-the-art Gait Lab. 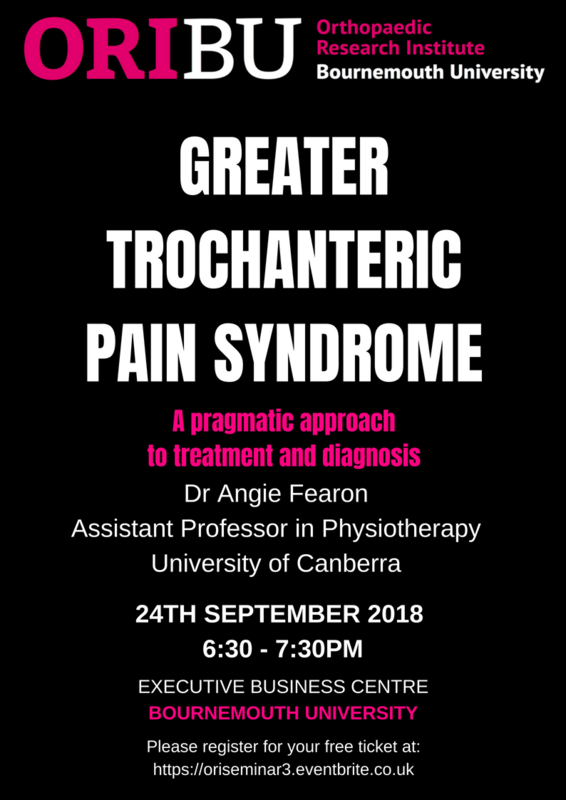 Given her visit to ORI and her research interests in greater trochanteric pain syndrome, we invited Angie to deliver an evening lecture as part of our seminar series. She provided a comprehensive review of the risk factors, identification and treatment of greater trochanteric pain syndrome. Angie has thirty years of clinical and ten years of research experience and is motivated to change peoples’ lives for the better by helping clinicians to be more effective. Her primary area of research is the assessment and management of hip pain and she has a particular interest in gluteal tendinopathy and hip osteoarthritis. She is currently developing a research programme that will work towards establishing effective treatment of hip pain. In addition to her academic role, Angie is a visiting physiotherapist at the Australian Institute of Sport. We would like to thank Angie for an interesting and informative talk and to those who attended th e evening. 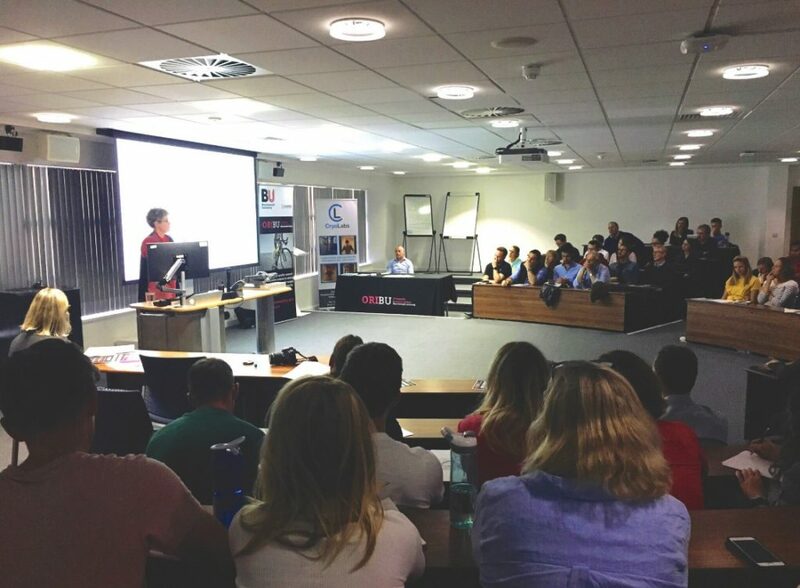 Our next seminar is on Monday 22nd October, where we will welcome Dr Ralph Gregory and Professor Ian Swain to share their latest professional thinking surrounding Parkinson’s disease. Dr Gregory specialises in neurology, cerebrovascular disease and Botulinum Therapy and has published over fifty peer reviewed papers. He will lead a video assisted talk on Parkinson’s disease and discuss why the main motor symptoms are amenable to medical, surgical and physical therapies. Professor Ian Swain will follow Dr Gregory’s talk, and explore the role of functional electrical stimulation for patients with Parkinson’s disease. Professor Swain is the clinical director of Odstock Medical in Salisbury which has seen the development of an extensive functional electrical stimulation service over the past twenty four years, and has treated over 6000 patients using surface stimulation systems.